A movie of my youth was “Repo Man”, which amongst many of its quirky elements had all products in the film were named with blue and white generic labels. Every product just simply had its name – “beer”, “dry gin” etc. In a funny sort of way, the invented labels of Aldi remind me of this film. “Bramwell” peanut butter, “Pure Vita” oil, “Ocean Rise” tuna are all labels with no back story. Whilst they’re not as bland as the blue and white labels of Repo Man, there’s a similar nothingness about the labels – you just know what you are getting. I must say, however, I got a shock when I looked into the new liqour shop at the Brookvale Aldi to see what looked for all money was a case of James Boags. Closer inspection revealed that Aldi had a new beer. Fraser Briggs Premium Lager in a green bottle with its name on a red banner in white writing with a waterfall in the background. James Boags Premium Lager is in green bottle with its name on a red banner in white writing with a waterfall in the background. Like most ALDI brand names, there appears to be no back story to “Fraser Briggs”, it’s just a little unusual for one to look so much like a mainstream brand. $9.99 a six pack and $29.99 a case – let’s just say you get what you pay for. The boys at Porters Balgowlah continue to find weird and wonderful beers from around the world. 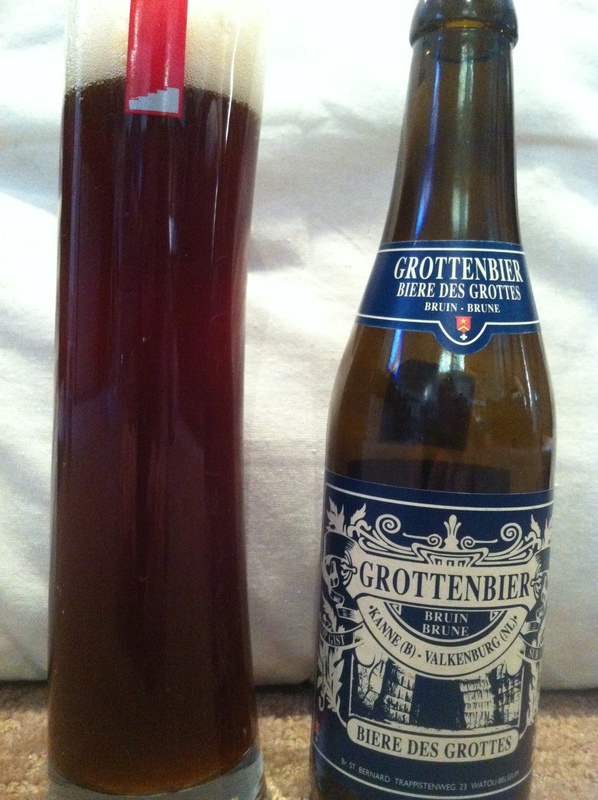 Their latest unique is a Belgian Dark Ale called Grottenbier. It is the invention of Pierre Celis, who is more famous for reviving Hoegaarden. At the tail end of his life he brewed some beers for the St Bernardus Brewery in Belgium. Grottenbier is one of them. It is a rich, yeasty, fruity concoction with a faintly bitter aftertaste. It’s a meaty 6.5%, and is more like a meal than a beer. Lovely label. You forgot to mention something which I think is most important, where the beer was made. Cheers. Piers. 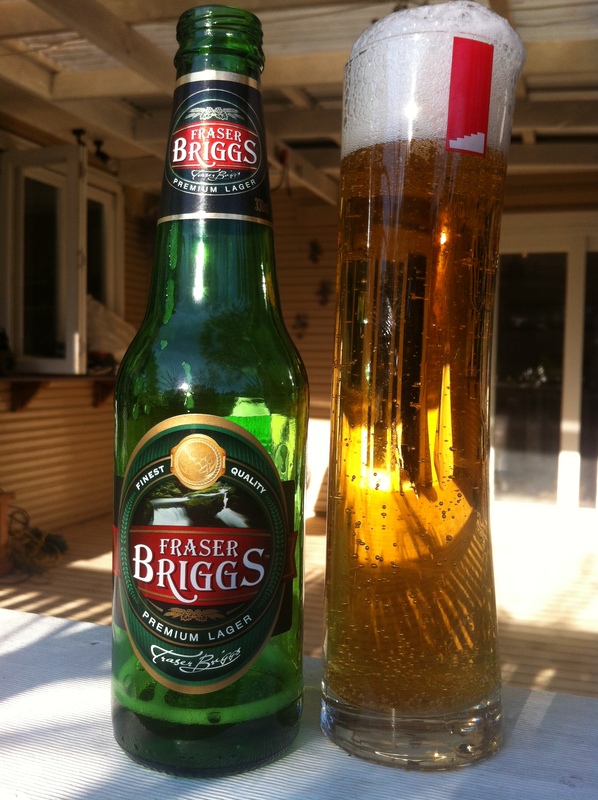 My husband and I really love the Fraser Briggs, a cheap refreshing beer on a hot day. My husband is a James Boags fan, but still enjoys this one also, so do I. Good value for money we say.